I apologize for the delay in my second quarter 2014 returns as the summer has changed some of my priorities. When you live in Wisconsin, it is important to take advantage of the nice weather while it lasts. My returns have slipped .85% from the last time I checked in April 2014. Since I have used FOLIOfn to buy notes for the penny note strategy, I rely on XIRR in order to calculate my returns. My strategy has remained about the same except for the small hiccup which affected P2P-Picks. Instead of letting my cash sit idle, I simply created a higher volume filter in Nickel Steamroller. I still keep an eye out for notes on FOLIOfn, but it is time consuming and I already have about $2500 worth of notes purchased. I am consistently adding funds which means I won’t know my true returns for quite some time. However, with the addition of my Prosper account I should see some more progress as far as my average age goes when I report my third quarter returns. This is mainly due to me deploying most of my available funds to Prosper. My average age has actually not moved at all since my Q2 returns due to me continually adding to my Lending Club account. As you can see below, I’m still sitting at 5.8 months. Lending Club pegs my returns (as of July 22, 2014) at 12.96% – not far off my returns calculated with XIRR. 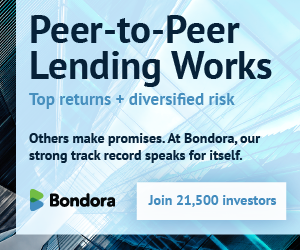 I’m still happy with my peer to peer lending investments and I’m excited to see where I end up long term. I am thinking a lot about how much I should really have invested in this asset class and still have yet to come up with my plan going forward. Mainly, the decision comes down to investing in the stock market with low cost index funds or adding to my peer to peer lending accounts. I’ve also considered purchasing more real estate, but I really am trying to focus on passive income. Is the Prosper account a new addition to your p2p investing strategy? When did you open it? I don’t recall reading about it in your prior posts. Yes, it is a new addition as I just created it in late May. I figured if I was writing about retail p2p investing, I needed to be active on both marketplaces. Since I can’t speak to my returns just yet, I do enjoy all of the folks I’ve interacted with at Prosper and it is great to see how they have turned things around. I’m rooting for them. I featured my Prosper filters on the automation video below, but didn’t have any other post on it. Next week I’m planning a post about my experience with Prosper so far. I too am waiting for p2p-picks for Prosper. Ryan – you can get the best of both worlds when you invest in crowdfunded or p2p real estate – there are a number of solid propositions out there, and you can choose both equity and/or debt. Let me know if you need help with some ideas. Yvan – Are there any available for non-accredited investors? If so, I’d be interested to check them out and see what they offer. I’ve just gotten into PtoP lending and have been writing about it on my blog. I just started playing around with Nickle Steamroller, and on thing that has struck me is how much lower the ROI is on loans for time periods that are 100% complete, even if you filter out the first couple of years of LC. I see filters people say return them well over 10% but if I back test them on the completed time periods I come out at 5-7%. Lending Club’s underwriting may be quite different than it was a number of years ago. This should continue to improve over time. Look at what the average rate is for the completed loans, is it higher/lower? You can see that the average rate has continued to increase over time which means you aren’t really doing an apples to apples comparison. I probably wouldn’t put too much time into looking many years back. Simply adjust your assumptions in the “Results Options” tab and you should get an estimate of what your returns might be. It’s hard to say forsure without knowing the exact situation, but remember that the age of a personal portfolio may affect returns and are likely to be inflated until notes are seasoned. How the returns are calculated is something else to consider. Hopefully this helps you out – let me know if you have any questions.